Looking for fun family ideas this Christmas? 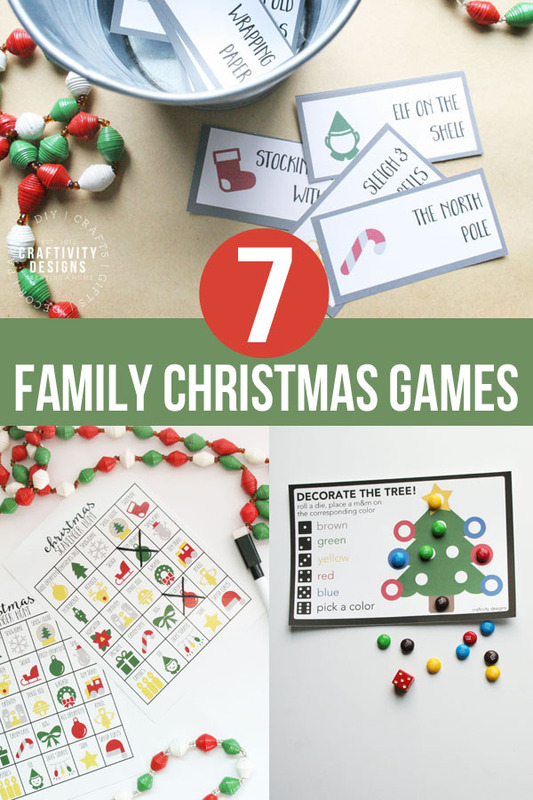 No need to spend tons of money or travel to faraway places, just play family Christmas Games together! The friendly competition will create great memories and nourish quality time, rather than filling the Christmas Season with busyness. Are you seeking a calmer Christmas? A Christmas that is less about a full calendar, and more about quality time with family? I’ve found that being intentional in prepping for at-home Christmas activities is the key to actually spending time as a family during the holidays. 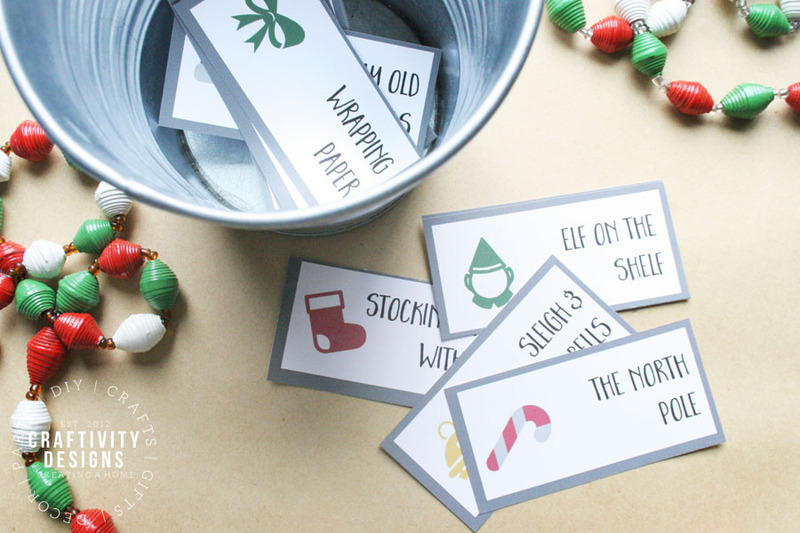 In anticipation of this year’s holiday season, I’ve created several Family Christmas Games to have on hand at our house. And, if it’s too late… if Christmas is almost here, tuck several games into stocking stuffers! Then, once all the gifts are opened on Christmas Day, you’ll have a set of fun family games to play together. Christmas Scavenger Hunt Game – Complete this game as a family, or compete to see who can fill the board the quickest. This family Christmas game is a hit with all ages, due to its versatility. 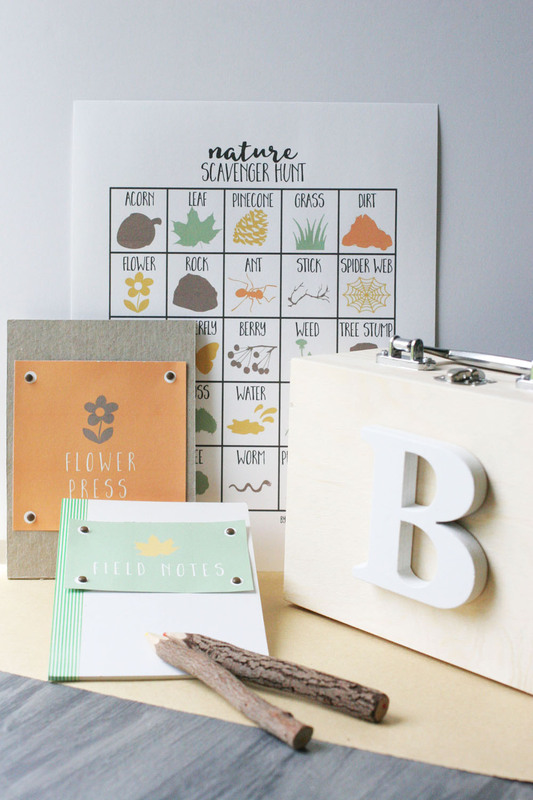 Christmas Charades – Who doesn’t love a classic game of Charades? The perfect party game, or family night activity, Christmas Charades encourages everyone to exercise their acting skills. 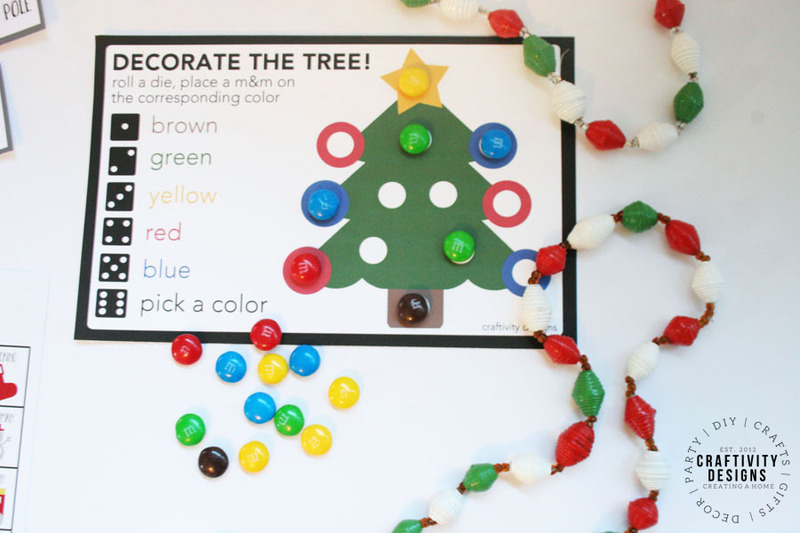 “Roll a Tree” Christmas Dice Game – Stick this darling Christmas dice game in a stocking, along with a baggy of M&Ms, ready for play (and a treat!) on Christmas morning. Spot It! Holiday Edition – This small circular tin filled with “I Spy” style game cards is a perfect stocking stuffer. Both older and younger children can play, as the game doesn’t require reading or complex problem-solving — yet, it’s not too simple for the big kids. Holiday Fluxx Card Game – Fluxx is a party game series, and the Holiday version includes Halloween, Thanksgiving, Christmas, and Haunukah. This game is a great option for a family with older kids, as the recommended age is 8+. Santa Bingo Game – Bingo is a classic game that kids (and adults!) enjoy! It’s easy to play at a party, while chatting and enjoying food, too. 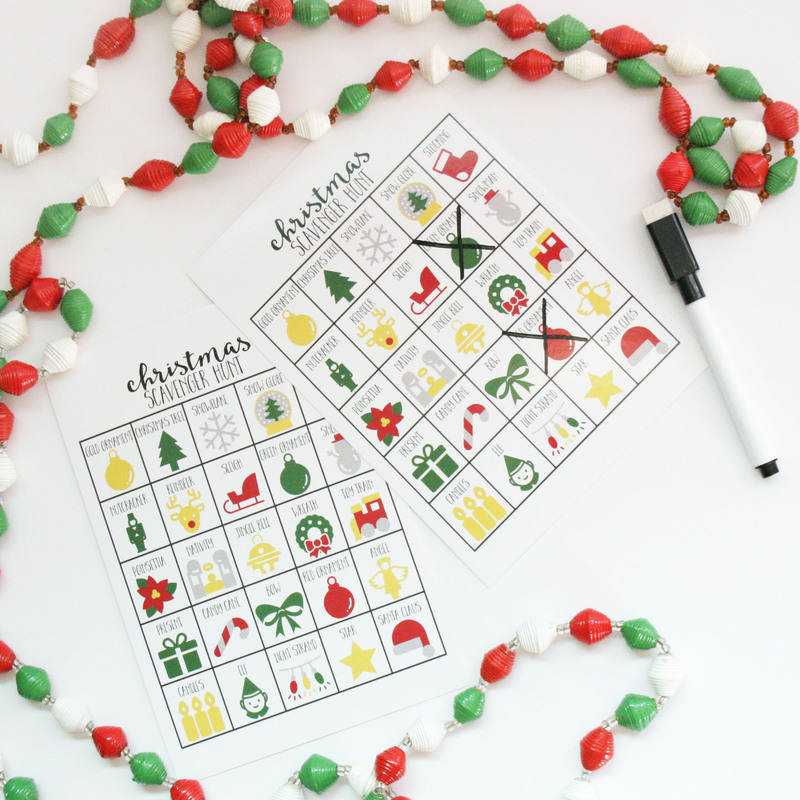 Grab this Santa Bingo game for Christmas parties. Take the kids on a Nature Adventure with a Nature Scavenger Hunt, Explorer Kit, and more! 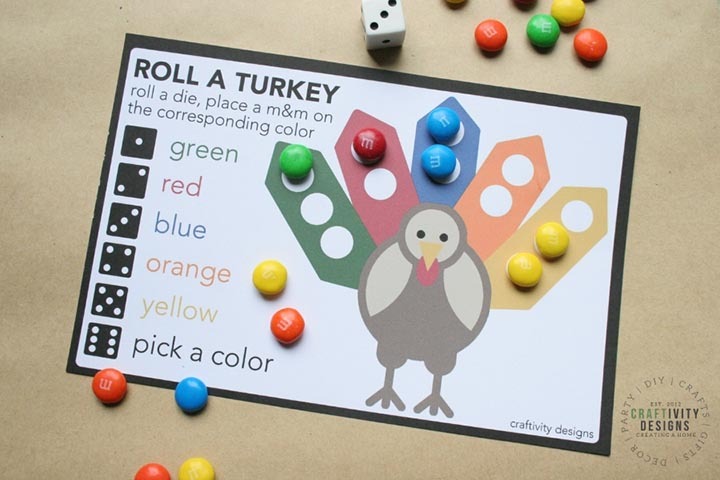 Download and print a Turkey-Themed Dice Game to entertain the kids during Thanksgiving Dinner. 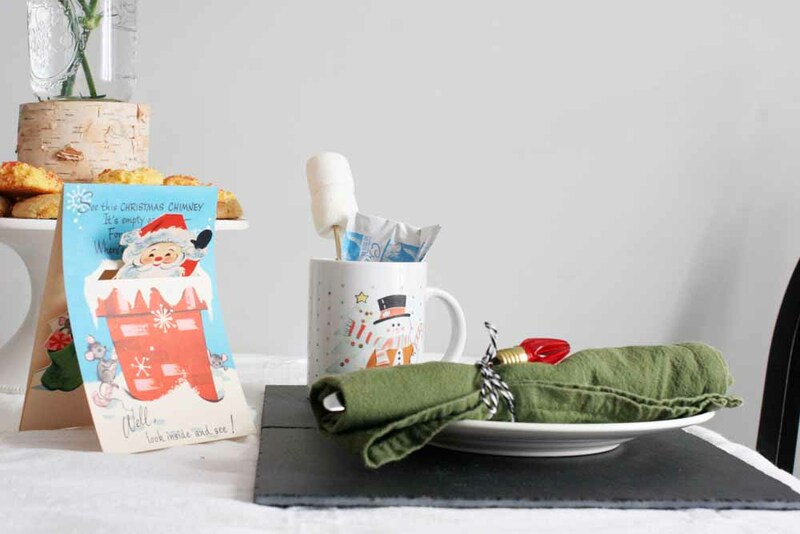 Throw a Hot Chocolate and Cookie Party at home with kids.